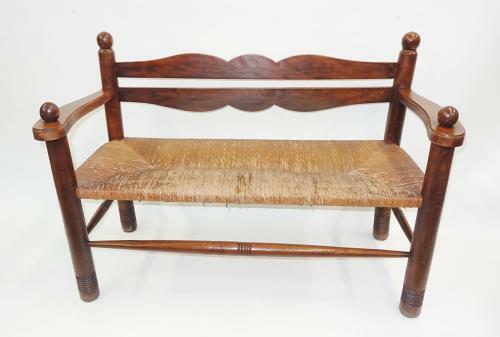 Stylish & sturdy Arts & Crafts stained beech rush seated settle of compact proportions: c1900. Attributed to William Birch of High Wycombe (who supplied a lot of Liberty's furniture, especially chairs). Approx 120cms wide, 82 cms high and 52 cms depth.